The rising expansion pattern has been completely formed. At the moment we can expect the correction of the pair. After the rising channel is broken, one can try to sell the pair with the stop behind the local maximum. 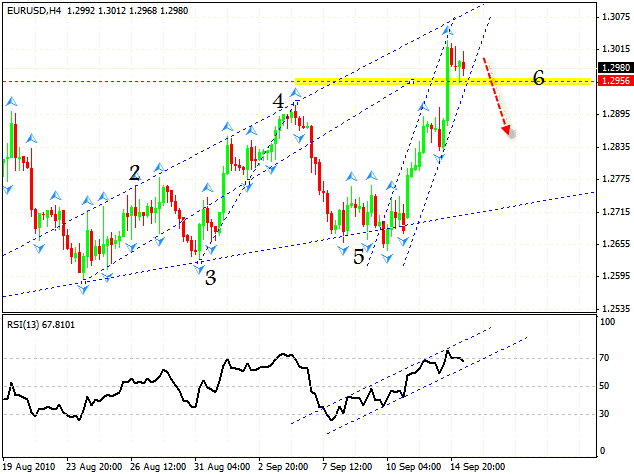 The first target is 1.2895, the next one is 1.2835. Pound has finally broken the neckline. But in this case I doubt that the pattern will be completely formed, because the growth of Pound does not fit well into the general movement of currency pairs. 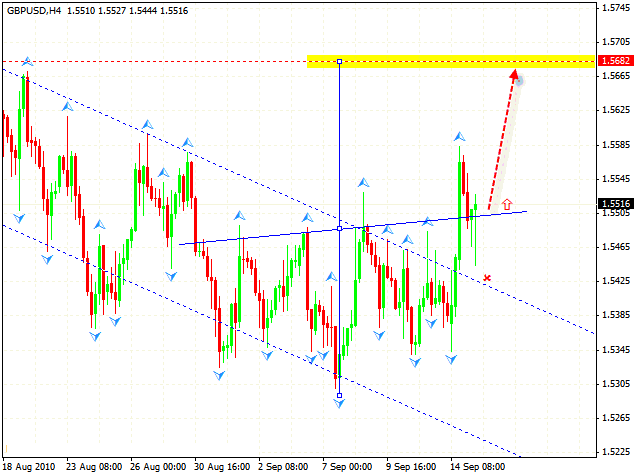 Yet we can try to buy the pair with the stop below 1.5450. The target of the expected growth is the area of 1.5682. Canadian Dollar, as Euro, has perfectly formed the descending pattern with the target of 1.0231. Currently we have an area to buy the pair, and as we can see the price has broken the descending channel. The formation of “head & houlders” reversal online forex pattern will be even more significant signal for us to buy the pair. The first target of the growth is 1.0365, the next one is 1.0460. 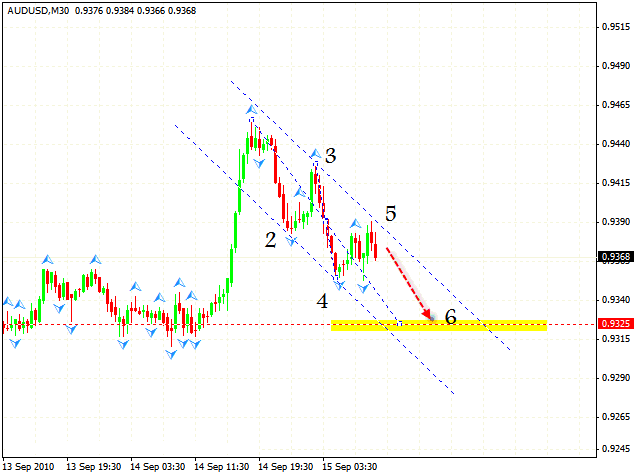 In case of the AUD/USD currency pair we have the descending pattern with the potential of 45-50 point of profit. 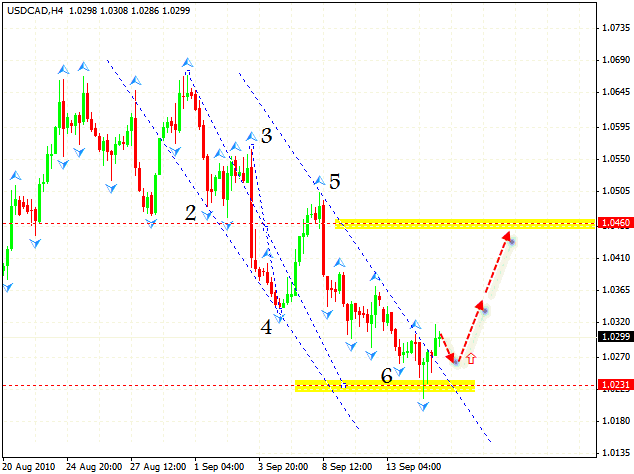 One can try to buy the pair with the tight stop above 0.9390.